This sign shows the Snoqualmie Valley and the confluence of the Snoqualmie and the Tolt Rivers. The view is to the east toward the Cascade Mountain Range. Seattle is directly behind you. You can see Snoqualmie Falls on the right side of the panel. 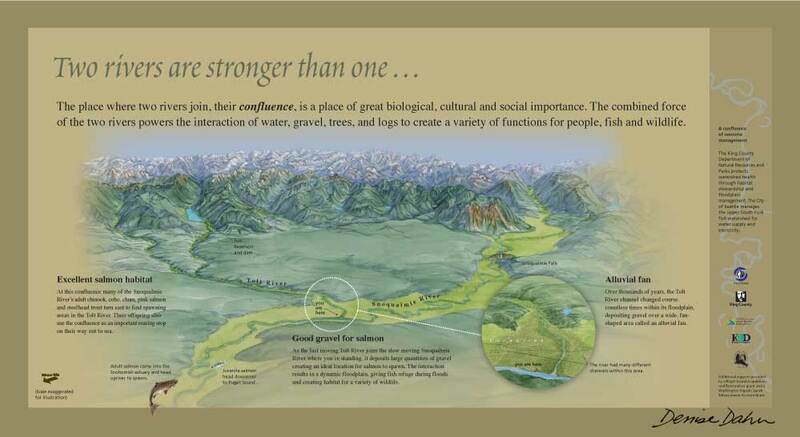 Below the Falls, the river system is valuable salmon habitat. But the falls is a natural barrier to upstream migration, so there are no salmon in the upper Snoqualmie. 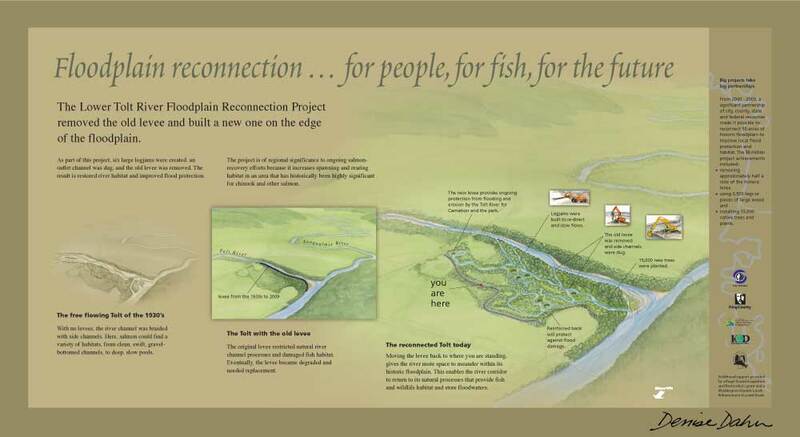 The Tolt River Reconnection Project was implemented to improve the confluence of the two flood-prone rivers with features that not only help reduce flood damage, but also restore some natural river channel features to improve salmon habitat. 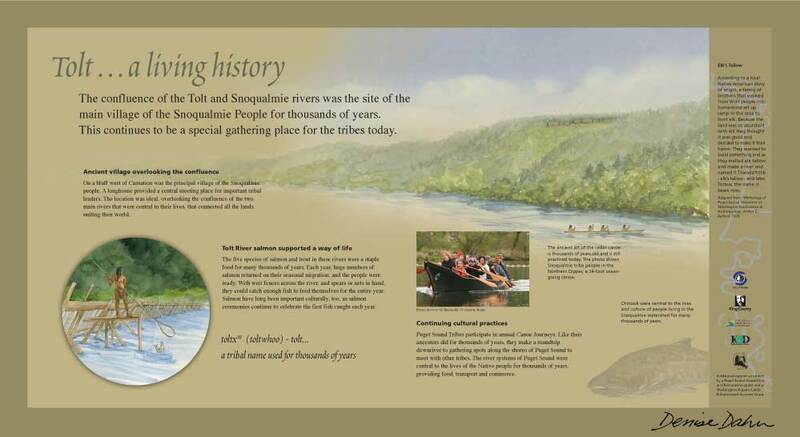 The confluence of the Tolt and Snoqualmie Rivers has great significance to the local tribes. 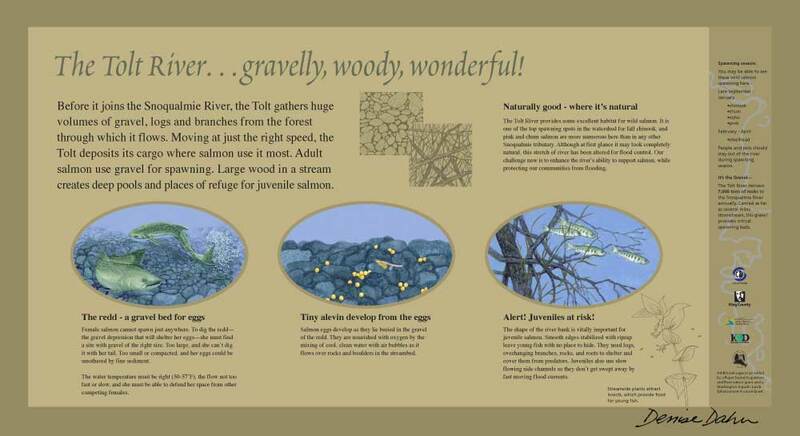 The Tolt and Snoqualmie Rivers are important wild salmon habitat.